Seniors Tanay Krishna (left) and Frances Zhuang (right) celebrate their successes at debate tournaments on Sept. 16. Krishna won the 7th Annual Robert Garcia Invitational, while Zhuang received her first bid at the Greenhill Fall Classic. “I had so much fun debating last weekend, and it was great to see my friends from all over the country,” Zhuang said. Photo: Angelina Wang. After a strong start to the season, the Palo Alto High School Speech and Debate team is looking forward to the upcoming Presentation Invitational and Coast Forensic League Superdebate in October. Paly’s debate team won the 7th Annual Robert Garcia Invitational at Saint Francis High School and placed in the top eight at the Greenhill Fall Classic in Texas, on Sept. 16. Senior Frances Zhuang received her first bid of the season at Greenhill School in Addison, Texas, indicating she reached a certain point in elimination rounds, where debaters must beat their opponents in order to advance. If Zhuang receives a second bid, she will qualify for the Tournament of Champions in May, a national high school debate tournament on the National Circuit. Widely considered to be the most prestigious and competitive tournament, debaters must apply to compete. While Zhuang finished strong, she emphasizes how challenging the tournament was. Senior Tanay Krishna also had a victorious weekend, winning the Robert Garcia Invitational at Saint Francis High School, which Paly’s debate team has historically done well at. Krishna won all five preliminary rounds, allowing him to advance through octafinals, quarterfinals, semi finals, and finals, all of which he won as well. 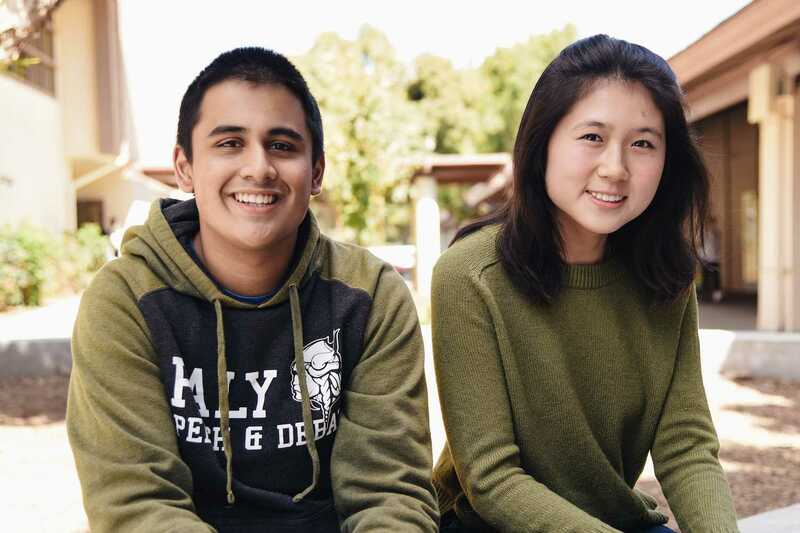 It was the Paly debate team’s first tournament this year, and was attended “only [by] varsity debaters on the team with considerable experience,” Krishna said. Going forward, Zhuang hopes to continue her success at the Presentation Invitational on Oct. 9. Krishna also hopes to maintain his victory at the upcoming Coast Forensic League Superdebate on Oct. 22, where Paly’s debate team will be competing against other high schools in the league, such as Bellarmine College Prepatory and Saratoga High School. For both Zhuang and Krishna, debate is about more than just winning. “My favorite thing about it [debate] is all the learning that happens while still being incredibly competitive,” Krishna said. Zhuang echoes his thoughts, including that she is grateful for her team as well.